If you read the first installment of this series, then you already know that we are examining ways that you can work with your attorny and/or finanicial and tax advisors to make your estate plan more efficient and to avoid some of the many problems that delay estate and trust administration and create additional costs and fees for your heirs. Review part I here. 5) Make sure that you leave memoranda and instruction for your executors, trustees and heirs. Now lawyers disagree about this but I am a proponent of leaving instructions to the vrious peolple who will handle your estate and any trusts for children, grandchildren and other heirs. Often, the disposition of personal effects can be a source of disput and delay. So, anything that you can say to your heirs to prevent them from fighting, or by way of guidance should be helpful. However, always make sure that your notes ad memos are intended to be informal and for guidance only to prevent them from conflicting with a carefully constructed plan. When you are going to use a binding memo, make sure to consult the lawyer drafting your will or trust to avoid these conflicts and to make sure that a binding memeo is properly drafted under your state's laws. Finally, trusts - either created during lifetime, or under a will, can and often do contain very braod language giving the trustee or trustees very wide latitutde to decide on investments and/or distributions from the trust. For that reason, non binding guidance can be vary valuable. Use a memo to give guidance on when children should get distributions for cars. Are you in favor of private, parachial, or public school. What types of travel and education should be supported or encouraged? 6) Make distributioms during your lifetime. Distributions made during lifetime can and often are challenged once a person passes away. However, these transefers of more difficult to challenge - especially when your capacity to make these gifts and your desire are documented by your lawyer. However, if you can afford to, and do make lifetime gifts, make sure to consult your counsel to avoid or to minimize gift taxes and to make sure that there has been provision for the payment of taxes if you die within one year and the asets are reincluded in your estate for Pennsylvania Inheritance Tax purposes. that you were able to make such gifts, that the gifts were well thought out, enforceable, and complied with any formailties required by law. 7) Consider a broad but carefully drafted Power of Attorney. In the event that you were to become incapacitated, a well drafted power of attorney can be an important way of protecting your assets not only for you but for your heirs. the modern and Enhanced Power of Attorney(TM) can provide for gifting to certain people, the ability to set up and to fund trusts, guidance on investment mix, and many checks and balances. For example, in the event your agent wants to make gifts while you are alive but incapacitated, you can require the consent of another special gifting agent. Such powers of attorney can also allow family memebers to be paid for providing medical and other services to you that help to keep you at home rather than in a nursing home. And, if done properly, such contracts and payments do not consitute gifts for mediciade purposes and can protect your ability to qualify for government programs while still legally moving assets out. David Frees works almost exclusivly in the areas of trust, estate, and will planning. He also represents executors and trustees. Frees maintains offices in Malvern, Phoenixville, and West Chester Pennsylvania. Exton, Chester Springs, Downingtown and many others on and around the Main Line. 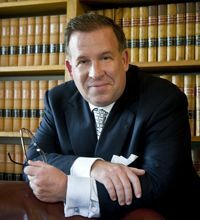 David M. Frees is Chairman of the Trust, Estates, and Wealth Preservation section of Unruh, Turner Burke and Frees with offices serving all of South Eastern Pennsylvania including Chester County, Montgomery County, Berks and Bucks counties, Philadelphia and Lancaster counties. David Frees is rated highly by Martindale.com and has attained the highest rating by AVVO of 10 (Superb) on a scale of 1-10. David meets with many clients each week and in order to give them his full attention, he is not always available to reply immediately to cell phone or email requests. Immediate assistance can always be reached at 610-933-8069.